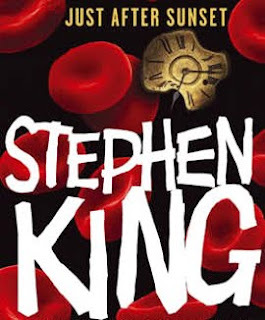 Any time someone mentions the name Stephen King, they conjure up his largely undisputed title as the king of horror. That might be true, but it's not always the supernatural that keeps people up at night. 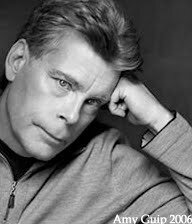 His psychological thrillers and deeply developed characters make his work convincing. A couple years ago, King put out his collection of short fiction since Everything's Eventual (2002). It was well timed, giving everyone a chance to enjoy bite-sized tales with most readable in a single sitting. Some of them were published in magazines before but unless you're a diehard fan, you might have never known. What's Inside Just After Sunset by Stephen King. The only never published tale in the collection is N., which can be best summed up as a reluctant guardian story. The story is presented as a retelling of a retelling. A psychiatrist's sister relates how one of her brother's patients has an obsessive-compulsive disorder and paranoid delusions related to keeping the universe balanced. After the patient commits suicide, the psychiatrist goes out to see the field for himself. He suffers the same fate while passing the burden to his sister and then his sister's childhood friend Charlie. Not the strongest story of the bunch, but compelling in how people confront a reality that could not possibly be real. The best of the thirteen include almost no supernatural slants at all. They are psychological thrillers that explore how the unexpected can momentarily turn someone's world upside down. We walk around without a care in the world ... bam! The Gingerbread Girl tells the tale of Emily, who takes up running to ease the pain of a lost child and eventually runs right out of her husband's life. After hitting the reset button, she decides to stay at her father's summer home. Everything is all right, until she stumbles into a serial killer. Rest Stop places an author struggling with his own demons at a rest stop where he has to decide whether to intervene and help a woman being abused. Mute is a confession in which a man tells a priest how a deaf hitchhiker might be connected to his wife's and her lover's murder. And The Things They Left Behind explores the 9-11 survivor guilt of a man who called off work the day his colleagues died. The latter was rumored to made into a short film. But other than one mention in July, it seems unlikely that anyone will see something soon. Unrelated to Just After Sunset, NBC Universal is producing the first Dark Tower film for 2013. Two Graphs About King Since He Can't Be Summed Anyway. With a resume as long as King's, it's impossible to recap it all. So, I'll just mention that in the spring of 1973, Doubleday & Co. accepted the novel Carrie for publication. His next book, Full Dark, No Stars, was released two days ago. It too is a short story collection, including four new short stories. There are almost 50 books and hundreds of other writings and projects. But what always fascinated me about King isn't only his writings but how he lives his life. In 1997, he biked across Australia. He rode a Harley, of course. You can learn more about King on his website, which is bigger than some publisher's sites. Stephen King's Just After Sunset Spooks A 4.5 On The Liquid Hip Richter Scale. There is always a ton of news about King. He is popular, but somehow he keeps his cool. True, some of his more recent work is hard to compare to what people call classic King. But lately, I think his work is better, writing without fear. You can find Just After Sunset on Amazon. The Gingerbread Girl was also made into an audio story on iTunes.